Current version numbers and a link to the corresponding forum announcement thread can be found here. A 'sticky' thread in the Daz Studio Discussion forum provides additional information about the build. The full list of changes and additions to Daz Studio 4.x can be found here, including a detailed change log of all the updates since the release of Daz Studio 4.0.3.x. 3. 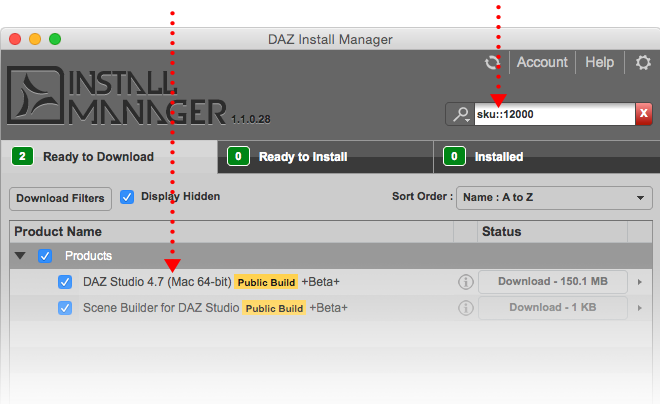 Lastly, on the Ready To Download page, enter “"DAZ Studio * Public Build" in the filter field and then download and install the files displayed. 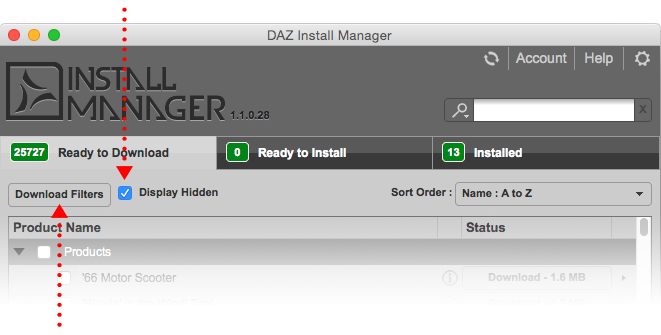 IF YOU ARE UPGRADING FROM DAZ STUDIO 4.8, IT IS HIGHLY RECOMMENDED THAT YOU BACKUP YOUR CONTENT DATABASE IN DAZ STUDIO 4.8 BEFORE LAUNCHING DAZ STUDIO 4.10!